We're honestly not surprised.... After all, King spoke highly of STRANGER THINGS given the revitalization of the sub-genre of kid horror and the resurgence of the sleeper hit IT sweeping the nation. So what is this new book THE INSTITUTE all about? In the middle of the night, in a house on a quiet street in suburban Minneapolis, intruders silently murder Luke Ellis's parents and load him into a black SUV. The operation takes less than two minutes. Luke will wake up at The Institute, in a room that looks just like his own, except there's no window. And outside his door are other doors, behind which are other kids with special talents -- telekinesis and telepathy -- who got to this place the same way Luke did: Kalisha, Nick, George, Iris, and ten-year-old Avery Dixon. They are all in Front Half. Others, Luke learns, graduated to Back Half, "like the roach motel," Kalisha says. "You check in, but you don't check out." I'd say there's some good influence here from the King of horror, particularly when this looks so much like Josh Boone's THE NEW MUTANTS with elements of LEGION thrown in. Still you can't get away from the power of IT minus a certain clown, and a setup that's reminiscent of a gang of kids working together for the greater good. It just makes for great storytelling. Who's Going to Want a Look at THE INSTITUTE? Me. Duh. 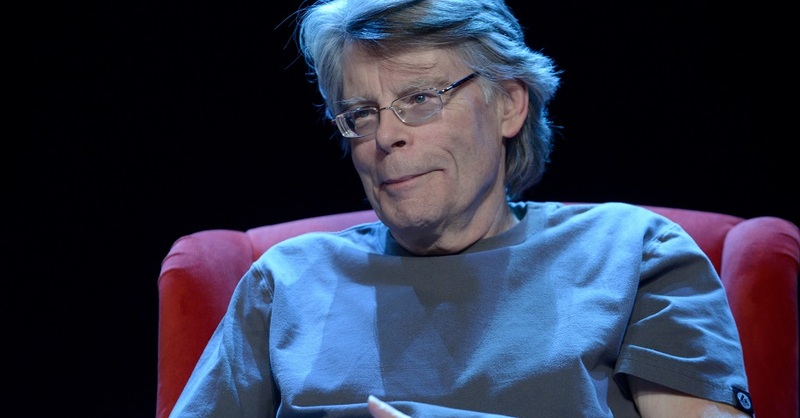 It's Stephen King, for crying out loud. And here he is churning another brick of butter filled with literary genius and terror for all of us to stomach. Bring it, man. I dug FIRESTARTER as well, so if we're getting to look at some kids with freaky mutant powers, I'm game.